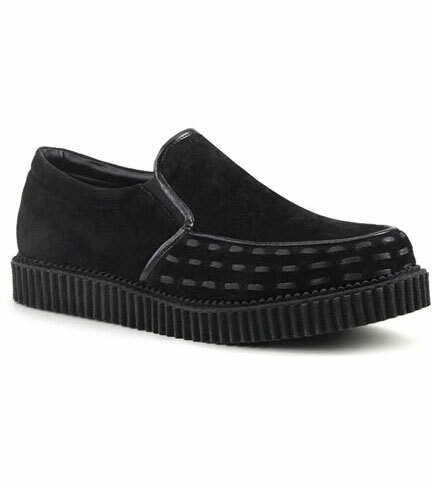 Vegan suede loafer creeper shoes with interwoven front and piping details. The platform on these slip on creeper shoes measure 1 inch tall. Comfortable enough to wear everyday and good looking enough to wear out.